We bring you a massive podcast this month – an interview with Rand Miller! 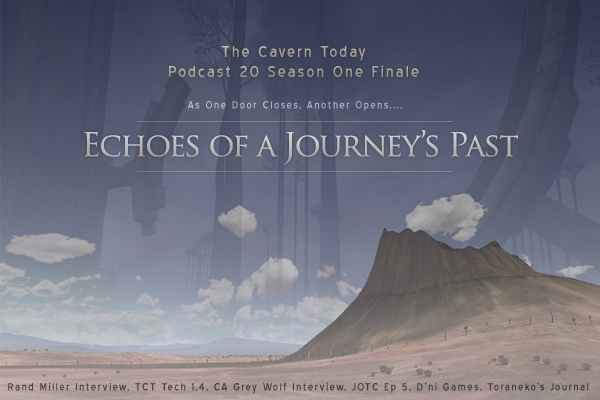 We carry on with the next instalment of JOTC, CA Grey Wolf comes on the show to chat about the GoG, Toraneko shares more of her journal with us. We have news from the cavern and some fun segments as well please enjoy!